There is a lot of discussion in the Amazon Alexa developer community about pending AWS costs for their skills. Now that many skill developers are approaching their one year AWS use grace period, fees are about to kick in. The majority of Alexa skills today were developed by individuals and not corporations. That means developers have already started digging into their own pockets to keep their skills alive and users happy. A key challenge is that Amazon has resisted introducing a monetization model so it is an all cost and no revenue proposition for developers. The risk for Amazon is significant. The large number of skills (i.e. voice applications) on its Alexa platform is 100 times greater than its nearest rival, Google. That is a selling point right now for consumers. There are more applications to find and use on Alexa. Consumers are factoring that into their choice of whether to select an Amazon Echo or Google Home. However, this Amazon advantage could change quickly. There have been many recent discussions among developers about withdrawing their popular skills because they don’t want to personally foot the cost for something that Amazon is clearly benefitting from. What would Amazon do if users started complaining because their favorite skills were no longer available. That could undermine momentum and give a boost to Amazon’s rivals. But, Amazon is proving once again to be developer friendly. Amazon stepped in this morning to offer free AWS credits for Alexa skill developers that have traffic beyond the AWS Lambda free tier. It is good to see Amazon offering AWS credits to Alexa developers. 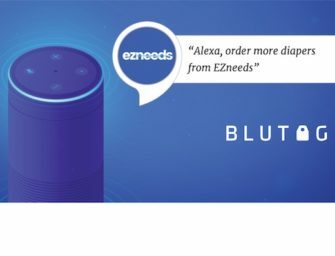 The community has put in a lot of work building out Alexa skills without a clear monetization strategy offered by Amazon. Now that many developers are seeing fees kicking in above the free tier, it is critical to be able to offset AWS costs incurred. The credit, however, appears to be limited to one hundred dollars per month and not weighted as to the amount of traffic. Many of these skills have moved past the free tier due to direct Amazon promotion and the one hundred dollars won’t cut it. I’d like to see Amazon weight the credits to take the disparity in traffic into account. This is an important step in maintaining a healthy developer ecosystem. Today’s announcement highlights the many complexities of growing a new computing platform. You need to make something users will love, but a big part of their enthusiasm is driven by the applications that developers build. For the best developers to devote time to your platform, they either need to have a strong affinity for what you are doing or know there is a revenue model available at some point (or both). Developers are giving their time to Alexa already and the AWS costs make it more difficult to justify without line of sight to monetization. Amazon made a smart move to help support its growing developer community but it is at best a stopgap. A clear monetization model will be an important development later this year for both developers and consumers that want a great Alexa experience.